Trump chickens out in Chicago, cancels campaign event | Fight Back! 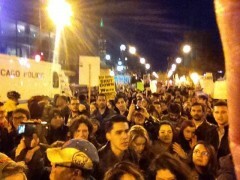 Chicago, IL – With more than 5000 protesters rallying outside, and hundreds inside, Donald Trump canceled his campaign event tonight, March 11, on the campus of the University of Illinois. 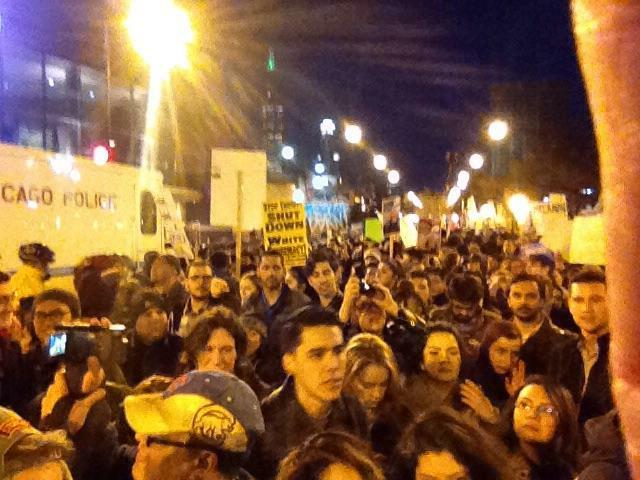 Community groups, including the Chicago Alliance Against Racist and Political Repression, joined the demonstration.